Wonderful 1 Bedroom Unit in Isles at Lagomar, recently renovated. See and Lease. Easy, fast process. United located in the second floor, 743 Sqft. of living area. Granite countertops, Stainless Steel Appliances, Vynil Floors throughout the unit and carpet in the bedroom. 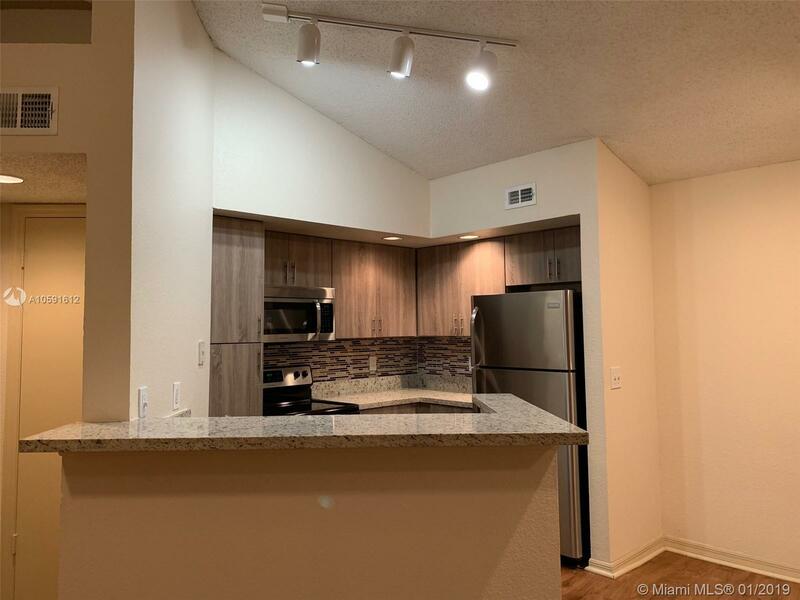 Nice ample rooms, large open breakfast bar with separate dining area, contemporary cabinets, spacious walk-in closets, vaulted ceilings, a studio/solarium in your unit etc. The Isles at Lagomar community is close to major highways with close access to Sawgrass Mall, I 595, etc. The community features, clubhouse, fitness center, spa, swimming pool with lake views, tennis courts, racquetball courts, and picnic areas.